Experienced roofers who do new roof installations, replacements, or repairs in Bowling Green and the surrounding areas. Call Onyx Home Improvement for Your Roofing Needs in Bowling Green. Onyx Home Improvement is your Bowling Green roofing company that offers dedicated roofing services to Bowling Green and the surrounding areas. As a local exterior remodeling business, we’re convinced every Kentucky home should have an exterior that’s functional and aesthetically pleasing. If you need a new roof, roof replacement, or repair, we are your roofing contractors of choice. So if your roof is getting a little worse for the wear, is getting up there in years, or you simply want something new to raise the curb appeal of your home, it’s time to call in a professional. Don’t neglect one of the most important aspects of your home by putting off work until the damage makes its ways into your home. Contact us today for a free estimate and see the difference Onyx Home Improvement can make. Why Choose Onyx Home Improvement for Your Next Roofing Project? It’s easy to forget about our roof — until it stops working. Whether you’ve spotted a leak in your ceiling or found a shingle or two in the yard after a storm, it’s time to call in a specialist to get your roof examined. While there are certainly roofing materials that are designed to last. They can last even longer if you have them installed by skilled, qualified contractors. However, nothing lasts forever and that’s what we’re here for. With the decades of experience our contractors have, there’s no roofing job that’s too difficult for us. That’s why Onyx Home Improvement is your Bowling Green roofing company of choice for any upgrade you need. We use our extensive knowledge and expertise to handle all roof dilemmas ranging from a quick roof repair to a full roof installation. The lower cost of shingle roofs, along with the ease of repairs, appeals to many homeowners. We are able to upgrade your current shingle roof or replace it entirely if needed. Shingle roofs are easy to install and do not require much time or labor, allowing us to get the job done quickly and correctly. You can get back to enjoying your home in no time at all with a quality, protective roof. For a longer roof life expectancy, metal roofing is the way to go. These roofs can last up to 50 years before any signs to degradation begin to show. Many people choose metal roofing because of its known energy-saving capabilities and environmental friendliness. Since metal roofing lasts for so long, the property value of your home will likely increase if you choose a metal roof. As a local Bowling Green roofing company, you know you’ll work with contractors who actually live and work in the community. We’ll offer a personal touch that many other roofing contractors lack. We also offer a 10-year workmanship warranty. This means if anything happens in that time frame, just call us, and we’ll come and fix it — we won’t charge a cent for the labor. So if you are unsure which roofing type is right for you, or you’d like to know more about roofing costs, give us a call. 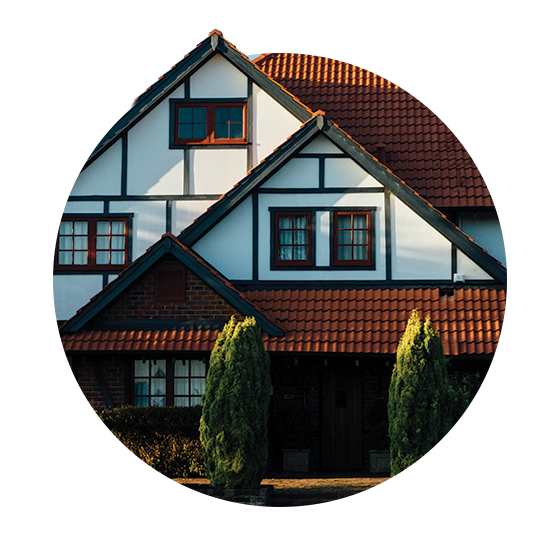 We’ll provide a free estimate based on the current status of your home, and we’d be happy to talk you through the benefits of both roofing styles. We look forward to helping you keep your home protected and strong.